Nutritionally there isnt much difference. great care sheet, very helpful. one thing I've noticed though is that dubias look quite shiny and smooth and was wondering how you would go about getting the calcium to stick to them when feeding? also, how do you maintain the numbers within the colony without producing too many dubias for the tub whilst keeping enough to feed one bearded dragon? After trying my beardie on Dubias, it turns out that we're both big fans. I eat substantially fewer of them, however. I am setting up in order to purchase a starter colony and have everything I need but just wanted to ask a question about ventilation. 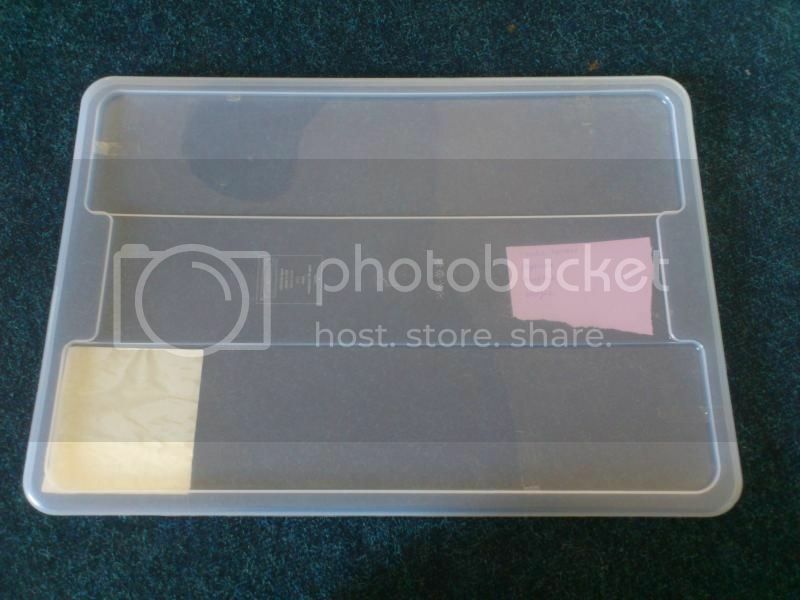 This is the type of lid I'll be using (though the actual box/lid will be black - I'm waiting on them to be delivered). Would I be ok to cut most of the middle section out or should I perhaps cut out sections on each end of the tub? Does it really matter where the vents are as long as about 1/3 of the lid is cut and meshed? As ever, thanks in advance for your help. I really don't think it matters as long as it's properly meshed - you really don't want roaches escaping and running round the house!